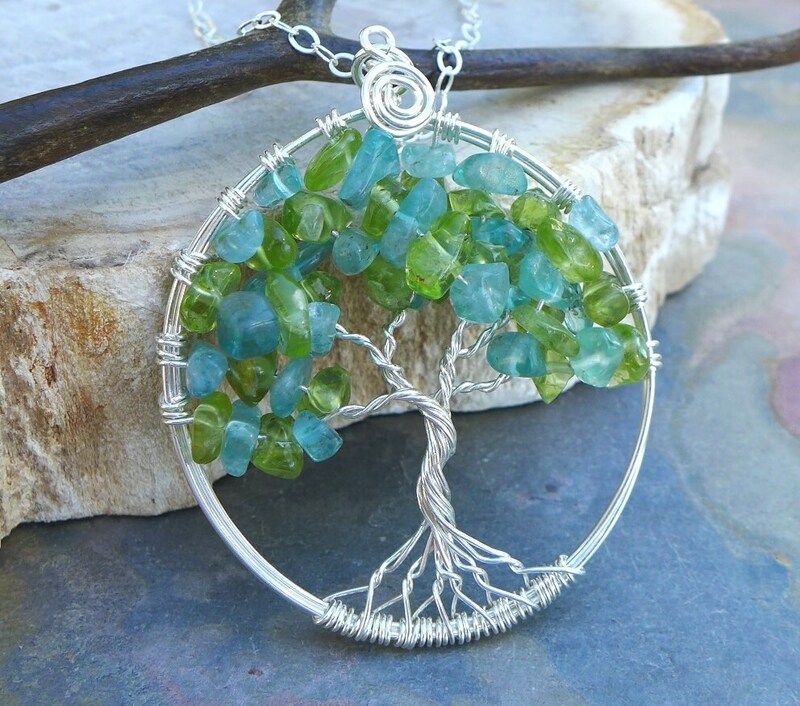 We handmade this unique & gorgeous wire wrapped Tree of Life pendant for August & December Birthstone Pendant necklace. 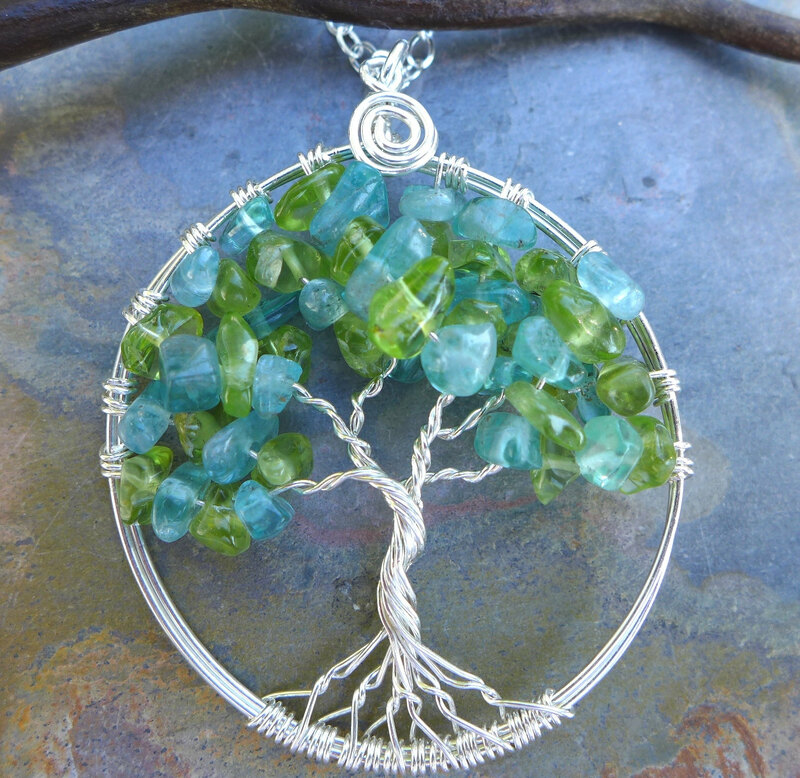 The pendant is made with blue Apatite and Peridot gemstones using .925 Sterling Silver wires. 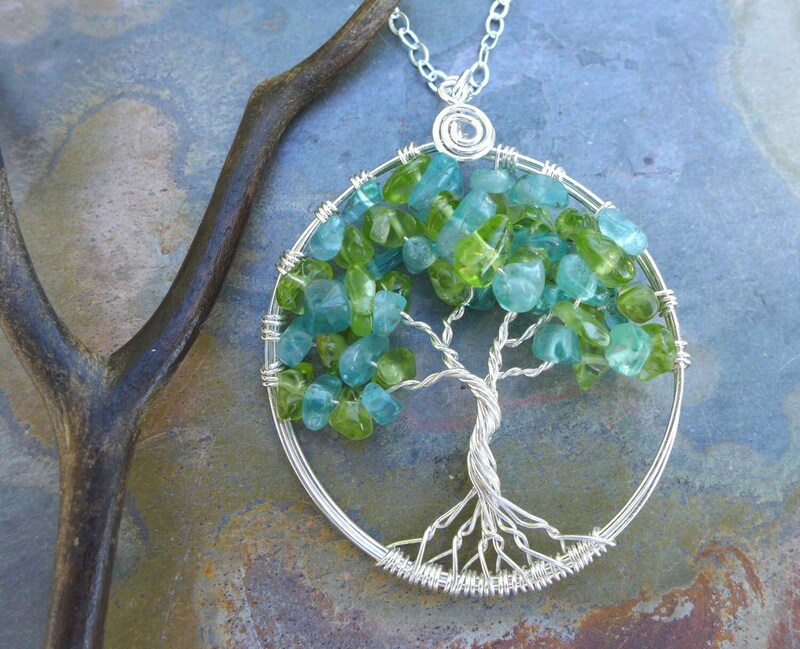 A Beautiful gift to give or receive! 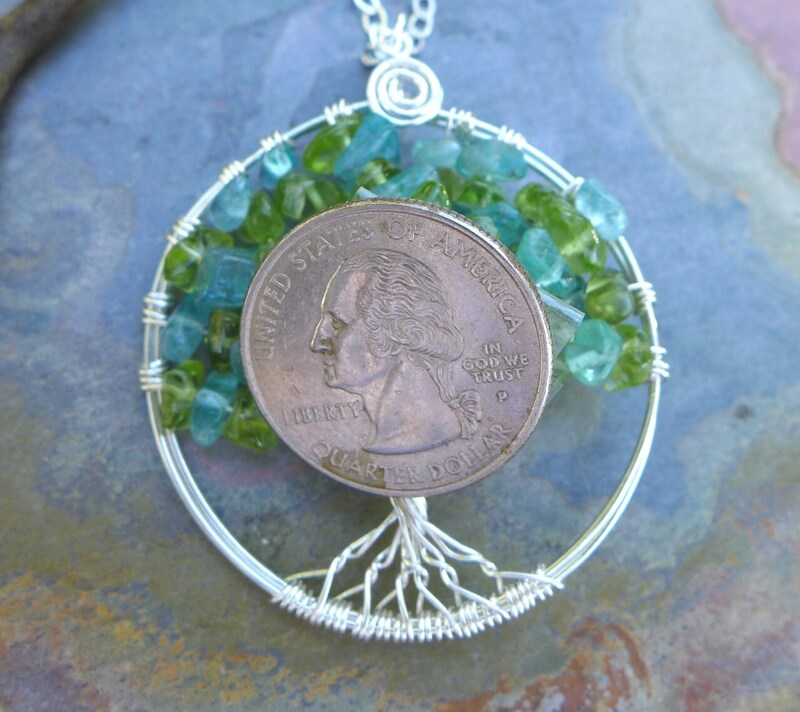 ~~The pendant measures slightly under 1-3/4 inch in diameter. 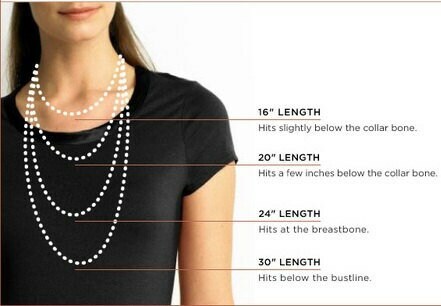 It comes with .925 sterling silver flat cable chain. I picked this as a gift for a dear friend. It is a lovely piece and the colors are magnificent. I cannot wait to give it to her as I am sure she will as delighted with it as I am.